The period immediately after classes end accounts for a large proportion of stabbings involving young victims. These incidents predominantly happen close to home or school, according to new research published in the journal BMJ Open. 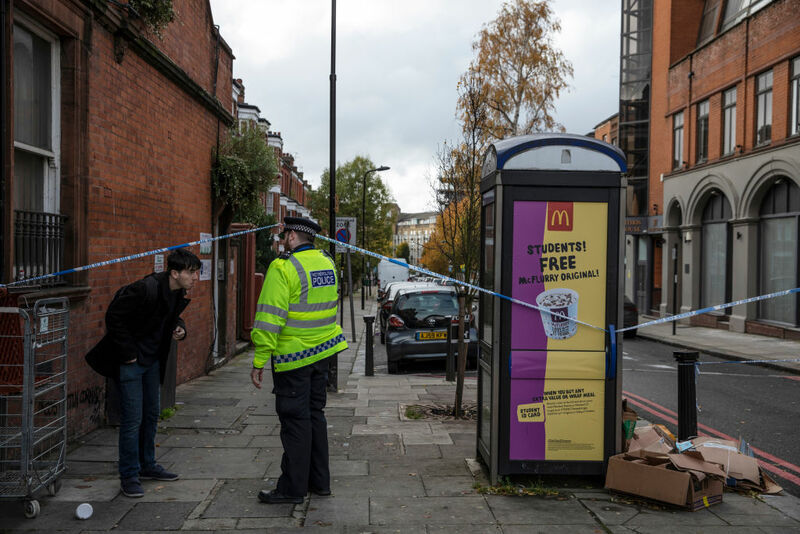 This report comes after a series of fatal stabbings in London, as knife crime reaches its highest level since 2011. A police officer lets a member of the public out of a crime scene near 'Billy Fury Way', where a teenager was stabbed on November 6, 2018 in London. Almost three-quarters of victims were from poorer neighbourhoods compared with just 1% from richer areas. The frequency of stab injuries rose sharply in the late teenage years, reaching a peak at age 18. In comparison, young adults aged 16 and over were more likely to be stabbed after midnight.